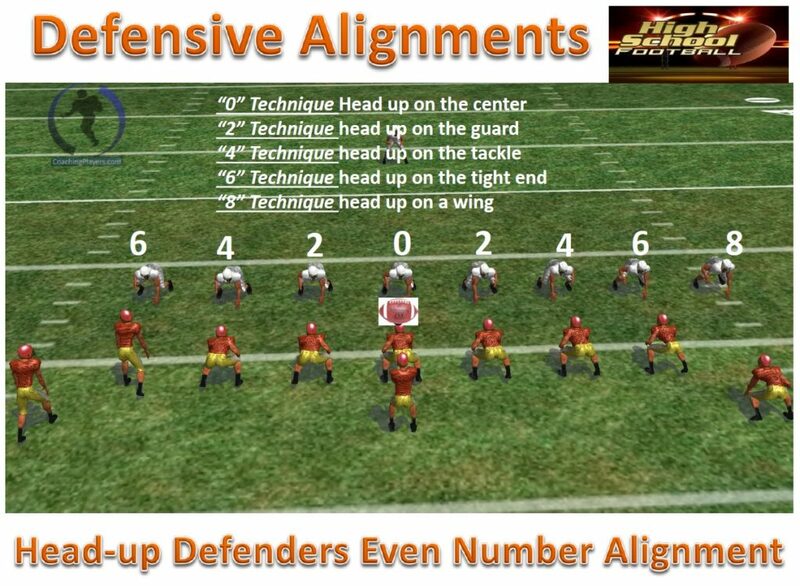 for your players to get lined up and for calling you defensive fronts. 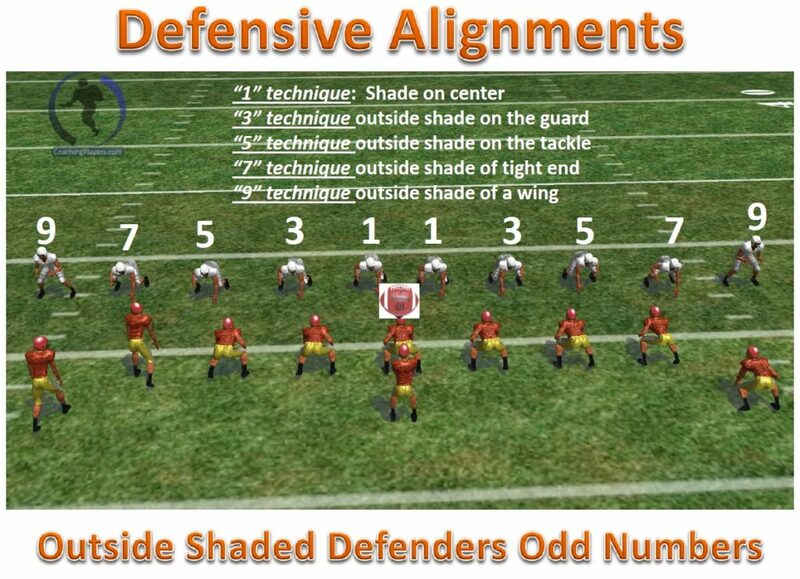 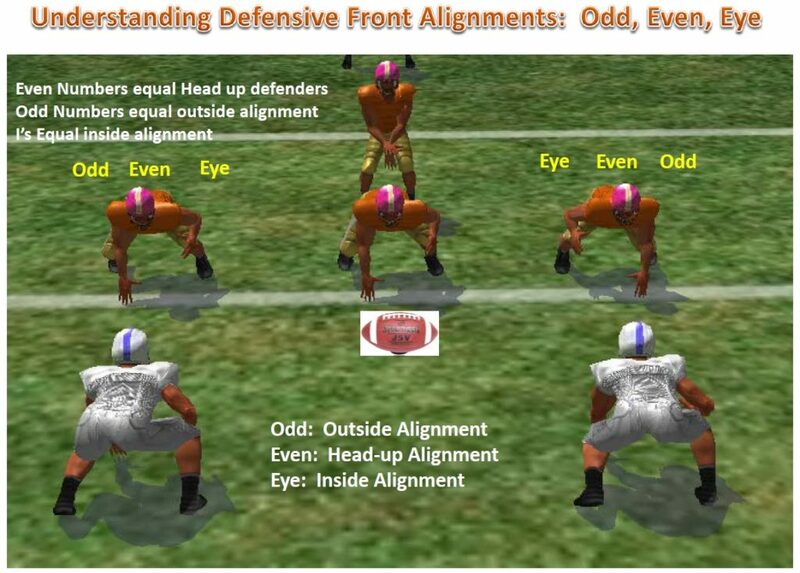 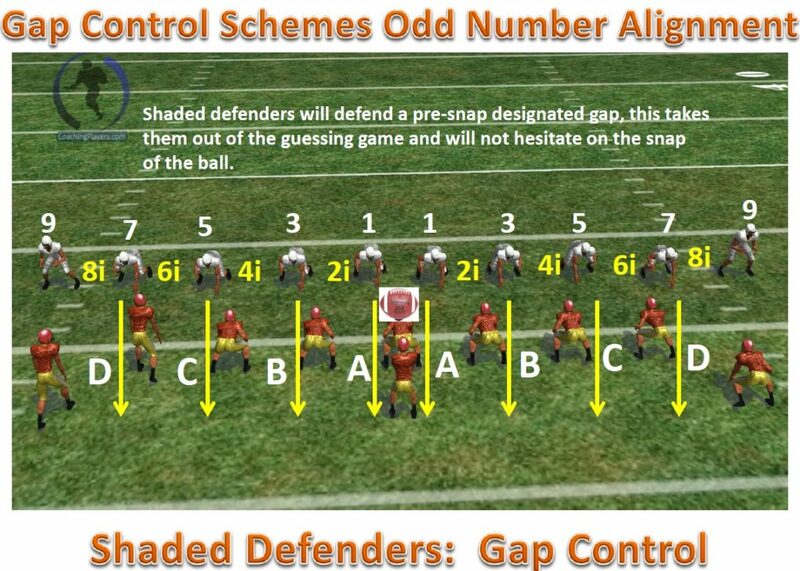 ‘Odd Numbered Alignments” 1, 3, 5, 7, 9 means that players would align as outside shades on offensive linemen. 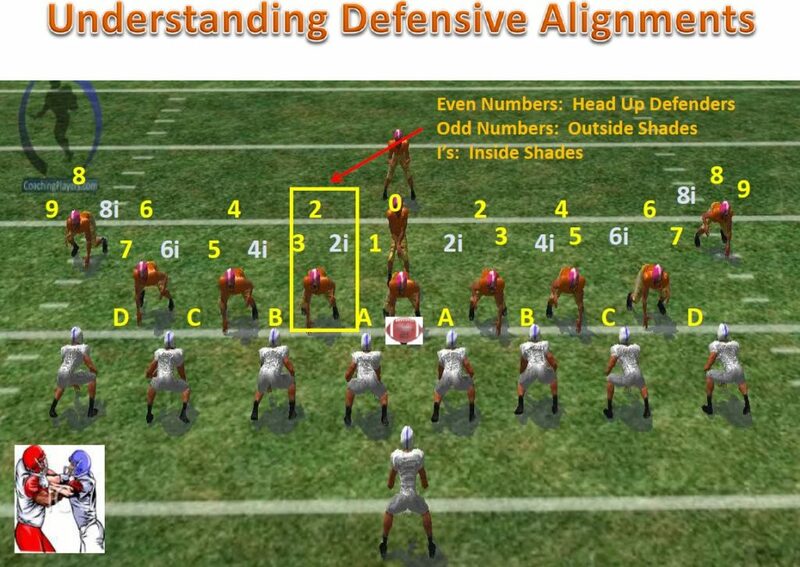 “Eye Numbered Alignments” 2i, 4i, 6i, 8i means defensive players would be aligned on inside shades of an offensive lineman. 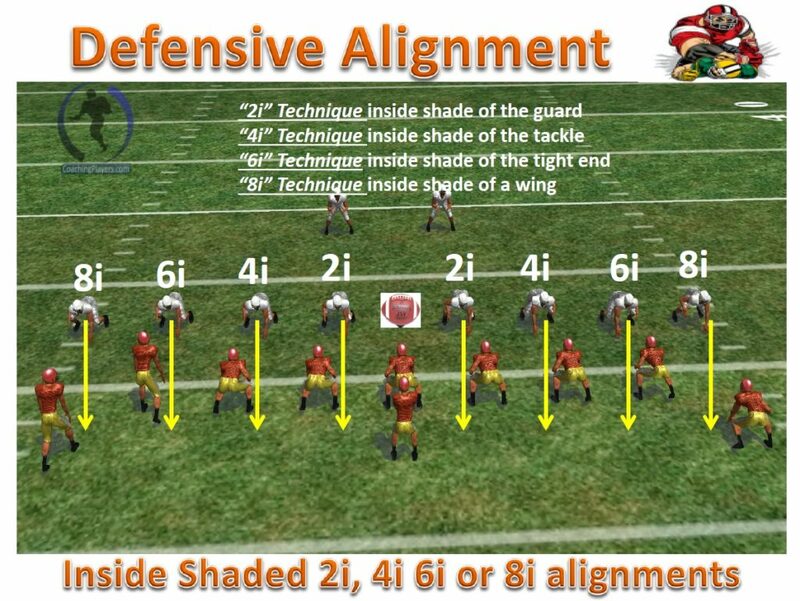 Examples are provided with the following illustrations.